…You’re not fully clean, until you’re LOST-fully clean. And how does one get LOST-fully clean, you ask? 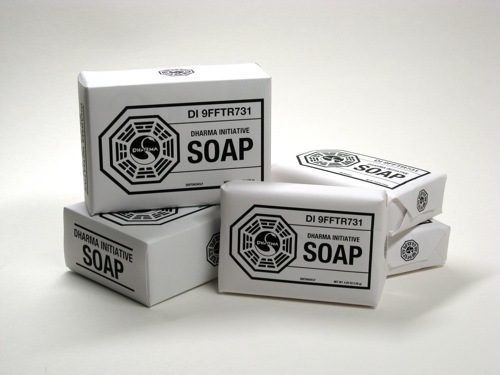 By using DHARMA Initiative Soap (like Kate at the Hydra Station above), of course! And, it just so happens we were lucky enough to receive two types of DI soap in our recent PRD (product resupply drop): 4.25 oz bars in boxes and 3.1 oz bars in paper. 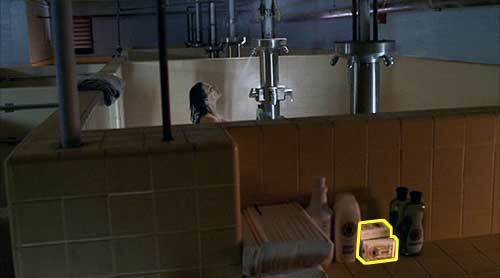 Remember, cleanliness is next to Jacob-ness! This entry was posted on Wednesday, January 20th, 2010 at 6:00 am	and is filed under Film/Video, Graphic Design. You can follow any responses to this entry through the RSS 2.0 feed. Responses are currently closed, but you can trackback from your own site.